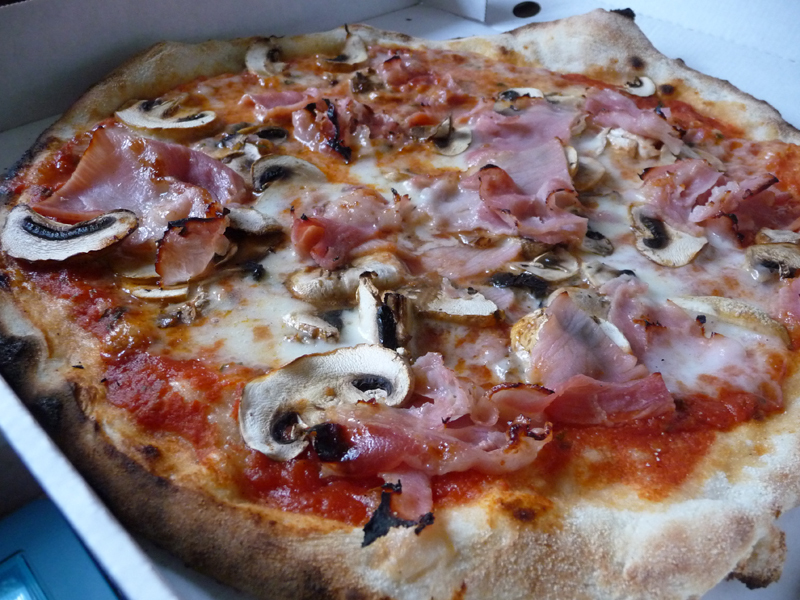 I adore pizza, but have only ordered take away pizza a handful of times in my life, mainly due to the huge let down of sloppy bases with sloppier toppings. But with eating out somewhat of a luxury in the GF household at the moment and with so many people raving about Pronto In Tavola in Hove, I just had to give them a try. Along with pizza, PIT also offer some classic Italian dishes like homemade gnocchi, pasta, stuffed aubergines, grilled sausages and my favourite sweet, Cannoli. 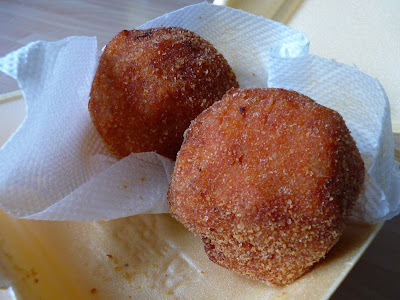 My greed radar really honed in on one of my top 5 snacks, Arancini (£2.50 each). They were nice but if I'm honest, and to severely blow my own trumpet, I prefer my own as these were quite soft and made with a tomato based risotto and I like mine white with a little more bite. Still, not bad at all. Anyway, for the main show I must say that the bases blow Pizzaface, clear out of the water. Chewy, robust yet airy and with those tasty charcoal spots. Thin enough but not ridiculously so, they weren't pizza heaven but probably the best in town. 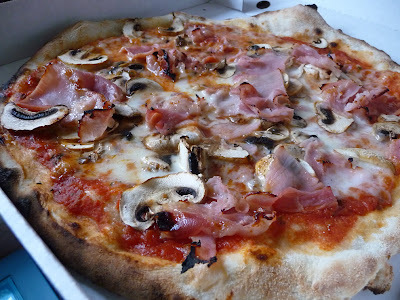 The base held up the Prosciutto e Funghi (£8) topping a treat which was of just the right amount, particularly on the cheese front. The "special" (£10) however wasn't particularly special. On paper, meat and greens on pizza is my thing, typically prosciutto and rocket but in this case I was tempted by the sausage and an Italian green much like spinach. 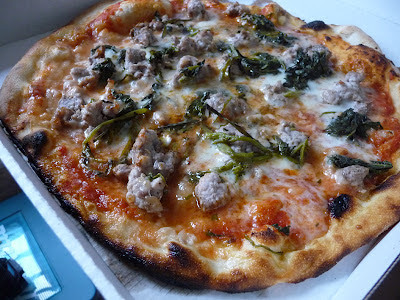 In reality the greens (rapini, I believe) were wet and there was way too much sausage which was quite dry, bland and chewy. 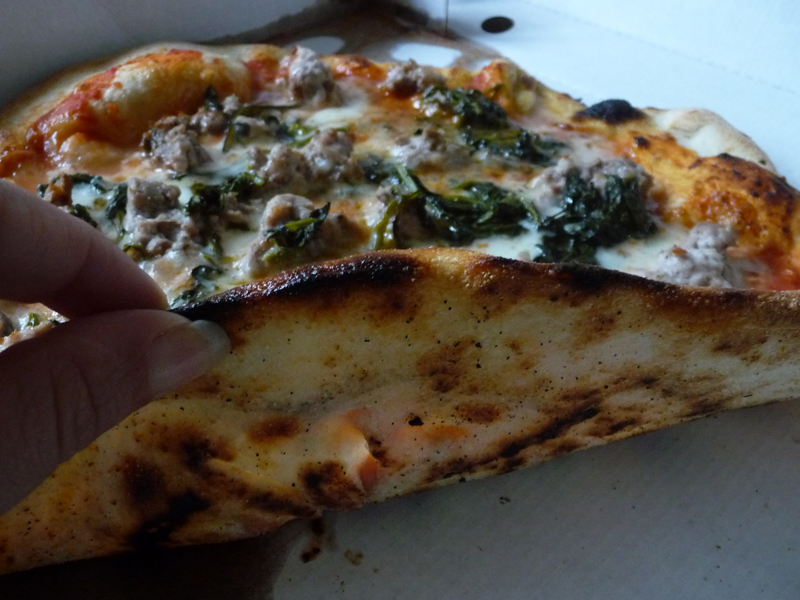 The wetness of the greens and heaviness of the meat made everything on the pizza slop off. Shame. A little less and a little touch of spice and I would have been entering PIT on speed dial. So, whilst I think the toppings at Pizzaface are better, and more interesting, the base maketh the pizza so I would have to opt for PIT, short of having the bases delivered to Pizzaface for topping. But that's just crazy talk. On the subject of delivery, it was super fast. On a Friday evening at 8, they made it across town in less than half and hour.